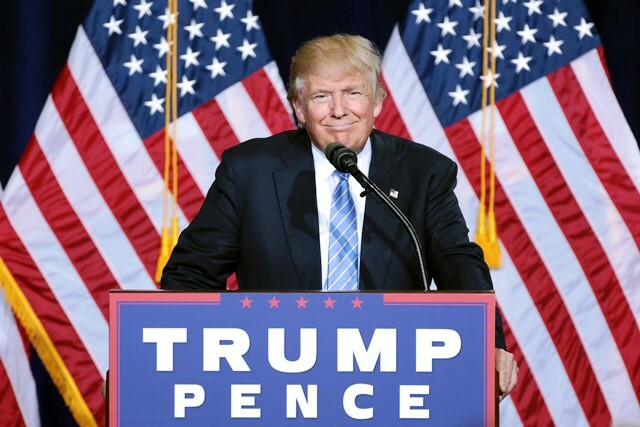 Befuddled pollsters, journalists and media analysts are wondering how they could have been so wrong following Donald Trump’s shocking win of the presidential election. Practically every poll predicted Hillary Clinton would win. They were wrong. Media and PR commentators continue to ponder what the results mean for media and public relations. Considering the pollsters’ massive miscalculation, many organizations will hesitate to believe surveys and other research related to their own brands, some say. The Trump election reveals how little influence the media holds over public opinion, some say. “In piously dismissing public sentiment when it comes to the entire premise of Donald Trump’s fed-up outsider campaign, the vaunted media proved it just ain’t what it used to be in the eyes in the public,” says Joe Concha, media reporter in an article for The Hill. Consider these statistics: The media approval rating stands at 19 percent, according to an NBC News/Wall Street Journal poll. Americans with high confidence in the media is 6 percent, reports the Associated Press. Conversely, the election shows the power of social media. Some blame social media, and Facebook in particular, for Trump’s election. People turn to social media, most of all Facebook, for their news. According to Pew Research Center, 44 percent all adults in the United States say they get news from Facebook, Yet Facebook is filled with wildly inaccurate information and fake news stories. “The most obvious way in which Facebook enabled a Trump victory has been its inability (or refusal) to address the problem of hoax or fake news,” states Max Reed in New York Magazine. Facebook leads the trend of fake news. Web publishers make up stories, spread them through social media, and rake in money from the resulting web traffic. Some of the many fictions: The Pope endorses Trump. Hillary Clinton bought $137 million in illegal arms. The Clintons bought a $200 million house in the Maldives. Many web publishers are overseas. A group of Macedonian teen-agers is especially prolific. In defense, Facebook CEO Mark Zuckerberg argued that the network did not influence the election because false pro-Clinton stories also circulated. “Personally, I think the idea that fake news on Facebook, it’s a very small amount of the content, influenced the election in any way is a pretty crazy idea,” Zuckerberg said at the Techonomy conference. Social media measurement predicted more accurate results. Social media measurement revealed that Trump was gaining positive sentiment, reported TechCrunch. Analytics firms noticed that a growing number of swing voters were engaging with Trump’s messages on social media. Some noted an increase in positive sentiment toward the candidate. Observers were not sure if social media engagement would translate into votes at the polls since social media actions were seen as passive actions. Election results show that online comments can indeed predict offline actions. Bottom Line: Donald Trump’s shocking election victory shows the lack of influence of traditional media and the newfound power of social media, experts say. It also reveals weaknesses of traditional market research and the accuracy of social media measurement. The election results will probably cause PR and marketing managers to re-evaluate their research and promotion strategies and place greater faith in social media marketing and social media analytics. Glean.info, formerly CyberAlert, grants permission to republish this article provided that the republished version contains a link to the original article on the Glean.info Blog. Originally published at www.cyberalert.com on November 14, 2016.